I actually got a card made yesterday afternoon. 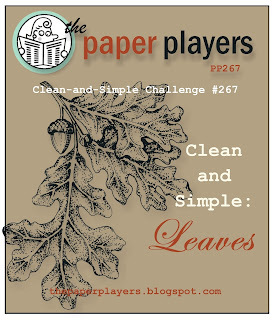 I thought I would enter this challenge at The Paper Players. I used to play there back when I got to be in my studio much more often. Great bunch of gals and always a superb Design Team. Instead of autumn leaves however, I this Christmas card using Stampin' Up Peaceful Wreath, Wonderful Wreath Framelits, and Boughs & Berries Embossing folder. 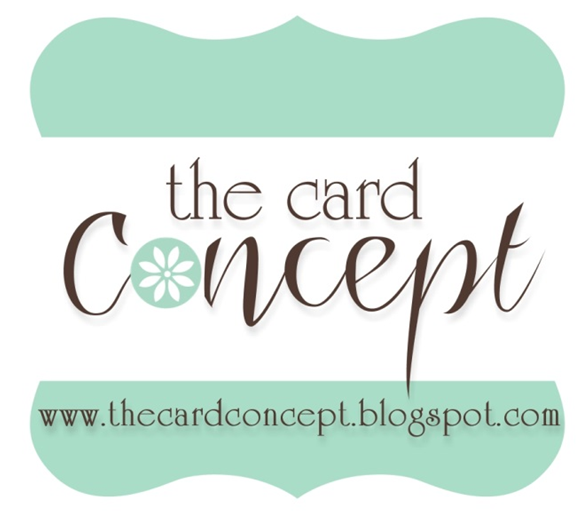 I'm almost sure I have copied someone else's card sketch and probably everything else about this card because of looking at Pinterest so much. So credit wherever credit is due to all you artists who generously post your wonderful art and don't fuss at me for not being more creative on my own. I did forget to use the wax paper tip for cutting out the word Joy, but after the red debacle I liked the Brushed Gold card stock (Stampin' Up) with the little red drop shadow. I didn't want the boo boo going to waste. I gold heat embossed the wreath and colored it with SU markers Cucumber Crush and Real Red, heat embossed the bow with Cherry Cobbler and dry embossed the white panel with the Boughs & Berries folder, popped up the wreath and bow. Viola, a great Christmas card which couldn't have been made so neat and tidy without the invention of Framelits. 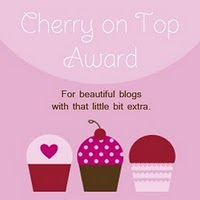 I think there is one more day to enter so click over and check out The Paper Players! Thank you for your kind words, Beverly! Good to see you in the gallery and I love that you made a Christmas card for this challenge! 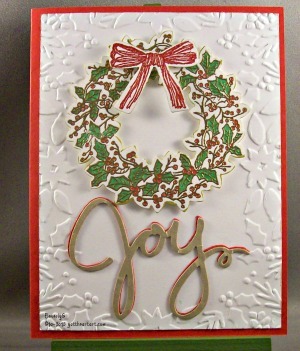 The embossed background is gorgeous with the wreath and I love your double layered sentiment! Thank you for joining us at The Paper Players!